The Tower Cat Scratching Post. Chunky, heavy and built to last. This cat tree was inspired by tales of people 'acquiring' traffic cones to make cat scratchers. A strong favourite with many cat owners this is a great model for every type of cat. 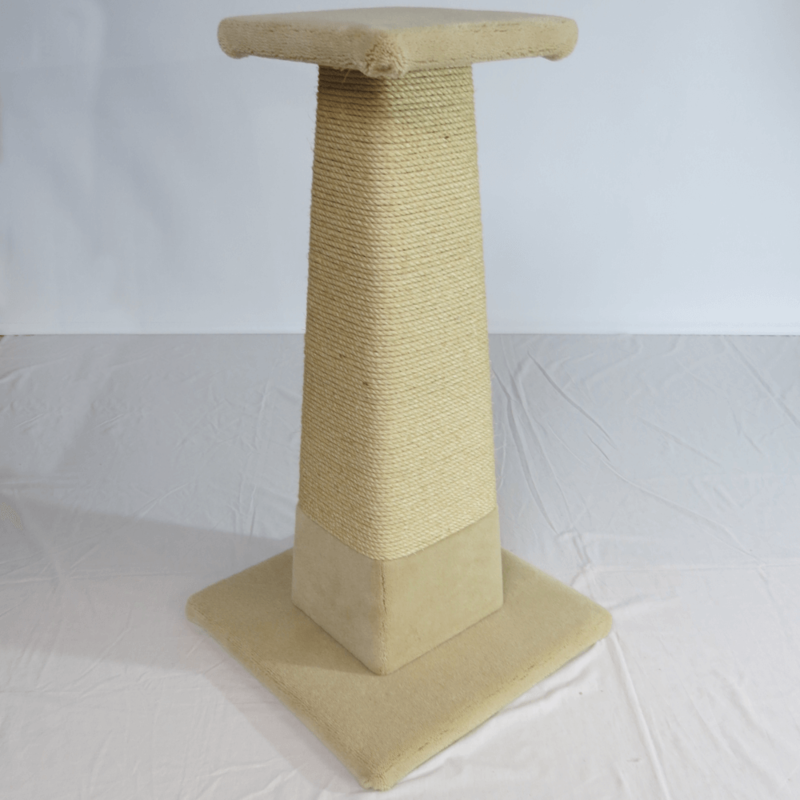 Made from furniture grade chipboard, your cats will not be disappointed with this scratcher. This scratcher compromises of a middle pyramid which is covered in carpet and wrapped in natural sisal and measuring 36 inches long, a 20 inch square carpeted base and a 12 inch top platform. No traffic cones are harmed in the making of this product.